Comment: I have several screens that need to be repaired or replaced, door springs on front door, and if you have the expertise, reattach several shutters. Comment: Looking to replace the windows in my townhouse. There are 8 standard sized windows and I have a set of smaller panels in the front of my house in the basement. I am shopping around for prices at this time. Comment: I need 2 window screens repaired and one door screen. The screens are able to bring in through the window and will not require climbing on the outside of the house. Due to an HOA, the screen material must match the material already on the windows. 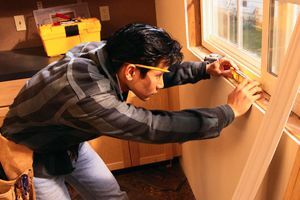 Frederick Window Replacement Companies are rated 4.55 out of 5 based on 2,488 reviews of 26 pros. Not Looking for Windows Contractors in Frederick, MD?